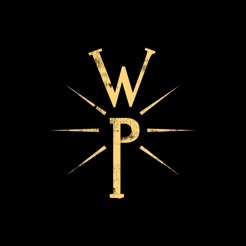 I have listened weekly to the Working Preacher podcast for years. Though I rarely pay for apps, buying this was a no-brainer. 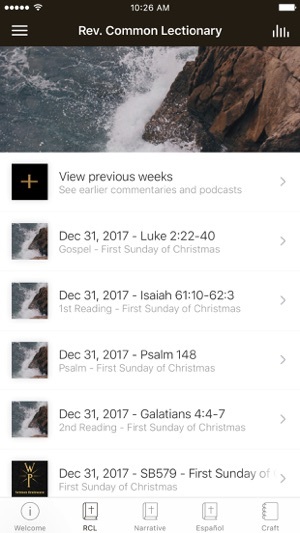 It is obviously targeted at all who preach, but would be valuable for anyone who likes to read three Sunday readings with a short commentary on every reading and Psalm. As for the app: It took very little time to learn to navigate from the colorful home page. 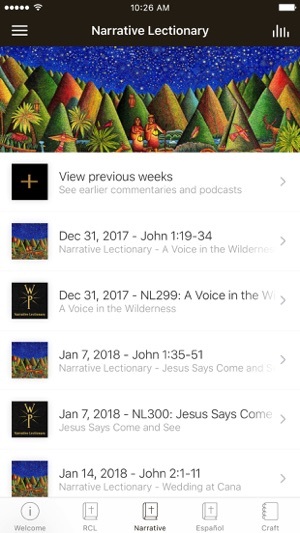 You have access to the scripture texts in the NRSV, the podcasts, and the website commentary essays on all RCL and Narrative Lectionary texts. 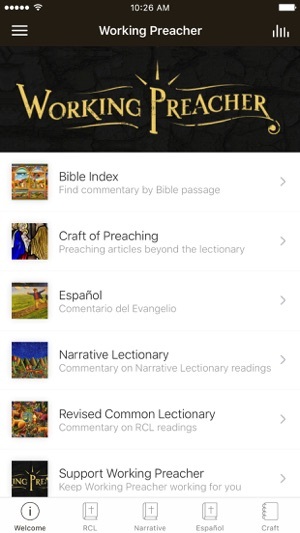 The texts and commentaries on the gospel readings are provided in Spanish. 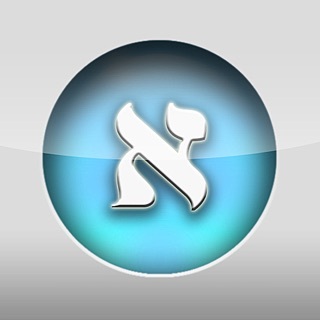 Both languages have biblical indices so that the entire ten years of commentaries can be searched. 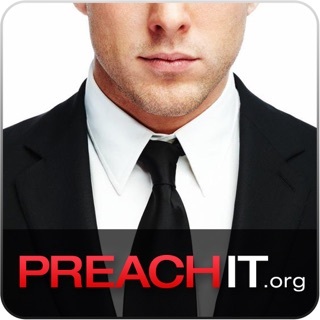 I highly recommend the app. Downloaded to my iPad. Problem is, everything is gigantic on my iPad, as if it is magnified. I can only get about six lines of text on my screen, and the constant scrolling is a nuisance. I tried adjusting my font size through the General settings, but it didn’t help. This needs to be fixed. As is I’d rather read the material via the website. The app on my iPhone works great. On the iPad however the font is uncomfortably huge with no way to adjust. I hope this gets fixed, looks like it’s been an issue for a while.